You are at:Home»AMIS»Announce / Events»WebLogic 12c released! At December the 1st, 2011, Oracle announced it’s new major release, the 12c release. As Oracle added the i (internet) at its 8 release, the g(gridcomputing) at its 10 release, now the focus will be on the c(cloudcomputing). Many new features come out of the fact that Oracle has made its key application server ready for the cloud, that is, ready for to run on enigineered systems, in fact its own Exalogic machine, Oracle’s solution for implementing the cloud. JSF 2.0,Java Servlets 3.0Â JPA 2.0 andÂ EJB 3.1. 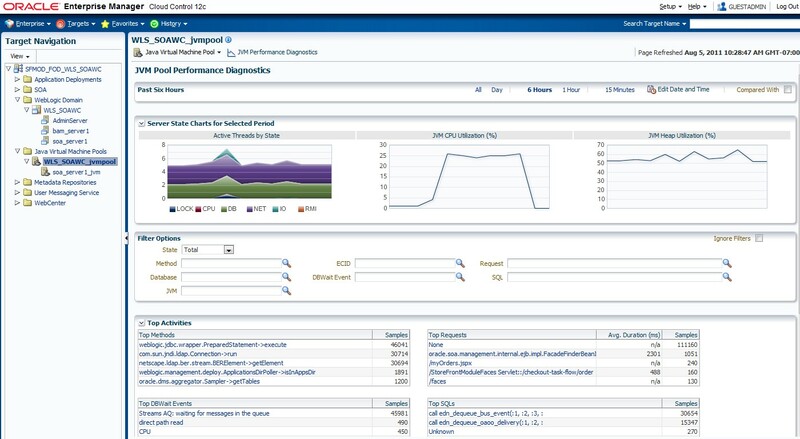 WebLogic 12c also supports supports Java SE 7 (and Java SE 6). I won’t discuss the full list in this blog because there’s more about WebLogic than only (although very important of course!) the JAVA EE 6 specifications. Support for IDE’s. WebLogic already supported JDeveloper 11.1.1.5, but will come out with the 11.1.1.6 later on. Also suported are Eclipse and NetBeans 7.1 IDE. As said, the JDeveloper 11.1.1.6 and IntelliJIdea IDE will be supported in a later timeframe. As you can see, you can even build a simple domain or control it out of Maven! 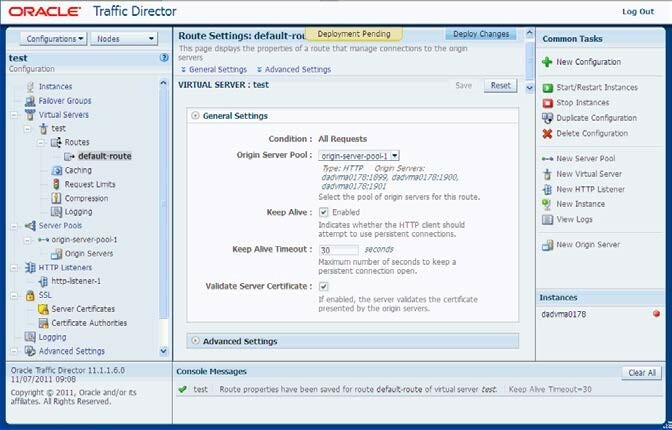 WebLogic 12c has Active GridLink –> optimalisation for RAC â€“Uses Fast Connection Failover for faster RAC failure detection. â€œLazyâ€ de-serialization of session data on the replica server until required. Tight integration with the Enterprise Manager 12 Cloud Control and the use of the Middleware. ActiveCache integration for WebLogic Server , being used by JPA entities and TopLink. Allows JPA Entity caching andÂ TopLink Grid enables you to direct queries to ActiveCache. Node Manager integration for starting/stopping cache servers . So you don’t have to use the start-stop scripts anymore. Will be the replacement for Oracle WebCache. routing and caching and SSL Crypto acceleration. Of course, I can’t discuss all of the over more than 200 features WebLogic 12c brings with this new release.You can see the Exalogic readiness of the WebLogic 12c release, but for those who can’t afford such a configuration, or simply do not need it, WebLogic 12c can still be of a great value leveraging a solid, robust, fast and scalable application server from which you can use all the built in enhancements. WebLogic 12c will be ready for all kinds of other products from the Oracle portfolio like the SOA Suite, WebCenter and so on, although those products will be at the 12c level in the coming 2012/2013 year. An sort of minor detail but for the native BEA customers: the Administration Console will be phased out somewhere in the future bot not in the 12c family! Have fun using it! Planned at December the 5th available for download. Only problem is that Weblogic 12c currently does not support JDeveloper & ADF unlike previous releases. I asked the Oracle team yesterday, when the Q and A of the deep dive sessions will be available I will post it! that is not really a “minor” detail. any links/references for that?